The House Permanent Select Committee on Intelligence report finding "no evidence" of collusion between President Trump's 2016 campaign and the Kremlin has been met with criticism from Republicans who crafted it and Washington pundits who say far too much information in it has been redacted. The product of a sprawling, yearlong investigation that split the committee along party lines, the 253-page document is packed with details. It’s kicking people when they are down. House leadership is working to pass its new Farm Bill, which cuts the Supplemental Nutrition Assistance Program (SNAP, formerly known as Food Stamps) by imposing harsh new work requirements that will hurt working families, children and people struggling to find stable employment. This just a few months after Congress passed $1.5 trillion in tax cuts to wealthy Americans. WASHINGTON (AP) — The chairman of the House Agriculture Committee said Friday that he "generally opposes" drug testing for food stamp recipients. The comments by Rep. Mike Conaway, R-Texas, came two days after The Associated Press reported that the White House was weighing a plan that could allow states to do just that. WASHINGTON Lawmakers, including some from Minnesota, hoped that this years renewal of the federal farm bill would offer Congress a respite from the partisan dysfunction and election-year maneuvering at the Capitol. CLEVELAND, Ohio -- The Ringling Brothers and Barnum & Baily Circus ended last year. Now the bankrupt GOP Elephant Circus Show that was the House Intelligence Committee Russia investigation, has also come to an end. Republican members of the committee decided to end their discredited investigation without informing Democratic members or allowing them to contribute to the final report. Republicans on the House Intelligence Committee have completed a draft report concluding there was no collusion or coordination between Donald Trump's presidential campaign and Russia, a finding that pleased the White House but enraged Democrats who had not yet seen the document. Take a look at the news in and around Odessa on Monday, Feb. 19. Find complete local news coverage in the Odessa American every day, online at oaoa.com and our daily E-Edition at myoaoa.com. 1. In office since 2004 and chairing the House Agriculture Committee, U.S. Rep. Mike Conaway seeks another two-year term against the opposition of fellow Midland Republican Paul Myers and Democrats Eric Pfalzgraf of Odessa and Jennie Lou Leeder of Llano. In office since 2004 and chairing the House Agriculture Committee, U.S. Rep. Mike Conaway seeks another two-year term against the opposition of fellow Midland Republican Paul Myers and Democrats Eric Pfalzgraf of Odessa and Jennie Lou Leeder of Llano. Odessa Libertarian Nicholas Landholt, 62, who got 23,677 votes or 10 percent of the total cast in November 2016, is campaigning for his party’s nomination at its state convention April 13-15 in Houston. Stephen K. Bannon, President Trump's former senior adviser, left both Republican and Democratic lawmakers on the House Intelligence committee frustrated Thursday when he refused to answer their questions, sparking a debate about whether to hold him in contempt. Mr. Bannon took questions from the members in private, as the committee continued its probe into whether there was collusion between Russian officials and the Trump campaign during the 2016 election. 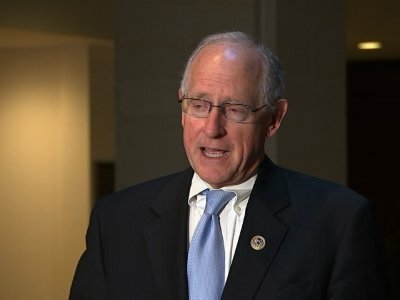 Congressman Mike Conaway said he expects to release a massive farm bill in the coming months that seeks to reauthorize and reform food assistance programs this year, but revealed little on Monday about any potential cuts. Each year the local Cable ONE office partners with an Ector County Independent School District school to honor military veterans with Take a Veteran to School Day. This year, the event will take place at Blanton Elementary, 4101 Lynbrook Ave.
WASHINGTON (AP) — One of Facebook's top executives met Wednesday with House members investigating the company's Russia-linked ads and told them the social media giant is serious about dealing with the issue. 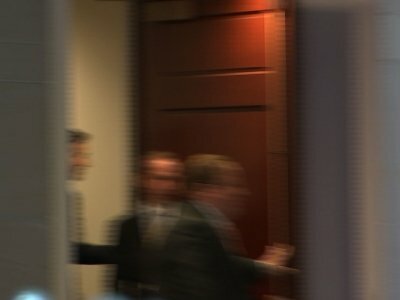 WASHINGTON (AP) — The House and Senate intelligence committees are inviting tech giants Facebook, Twitter and Alphabet — the parent company of Google — to appear for public hearings as part of their investigations into Russia's interference in the 2016 election, The Associated Press has learned. WASHINGTON (AP) — The House Intelligence Committee has subpoenaed the Justice Department and the FBI for documents related to a dossier of salacious allegations involving President Donald Trump and possible ties to Russia. WASHINGTON (AP) — The latest budget push by House GOP leaders has faltered, leaving quarrelling Republicans almost three months behind on their budget work as they head into next week's recess. Tuesday's deadlock is the result of a battle between conservatives demanding greater spending cuts and the committee chairmen who would have to carry them out. As a result, a planned vote this week on the GOP's latest fiscal blueprint was cancelled before it was officially scheduled. The White House has sent a letter to the House Intelligence Committee that quotes President Donald Trump's tweets about potential recordings of conversations between him and ousted FBI director James Comey. The committee had set a Friday deadline for the White House to say whether the president had recordings of his conversions with Comey, as Trump has suggested. WASHINGTON (AP) — The longtime Texas Republican tapped to lead the House probe into Russian interference in the 2016 presidential election is more familiar quietly working on agriculture issues. WASHINGTON – Rep. Devin Nunes, R-Calif., said Thursday that he is temporarily giving up oversight of investigations into possible Russian involvement in last year’s presidential election and claims that the Obama administration used intelligence data for political purposes. Chairman Mike Conaway, R-Texas, a senior member of the Committee, will now lead the investigations by the House Intelligence Committee. WASHINGTON (AP) — Time for talk running out, President Donald Trump on Tuesday warned wavering House Republicans that their jobs were on the line in next year's elections if they failed to back a GOP bill that would upend Barack Obama's Affordable Care Act. WASHINGTON (AP) — A Texas Republican said Thursday he was deeply disturbed by explicit signs at the Women's March on Washington last month while acknowledging that President Donald Trump's vulgar and sexually predatory comments about women triggered the display. Another Texan has been added to the mix of candidates to lead the U.S. Department of Agriculture. According to media reports, Susan Combs, a West Texas rancher who had tours as both state agriculture commissioner and Texas comptroller, met with Vice President-elect Mike Pence in Washington on Tuesday and has gotten the thumbs up from Mike Conaway, the Midland Republican who chairs House Committtee on Agriculture. WASHINGTON (AP) — House Republicans are laying the groundwork for a fresh effort to overhaul the food stamp program during Donald Trump's presidency, with the possibility of new work and eligibility requirements for millions of people. A public unveiling of the Chris Kyle Memorial Plaza is scheduled for 11 a.m. Thursday at 8050 E. Highway 191 near the Veterans Affairs clinic, capping more than a year-long effort to develop a tribute to the slain Navy Seal born in Odessa. Take a look at the news in and around Odessa on Tuesday, July 19. Find complete local news coverage in the Odessa American every day, online at oaoa.com and our daily E-Edition at myoaoa.com. 1. Congressman Mike Conaway told Ector County Republican Women’s monthly meeting attendees on Monday that now is the time to get behind the party’s presumptive nominee Donald Trump while adding his own support. Congressman Mike Conaway told Ector County Republican Women’s monthly meeting attendees on Monday that now is the time to get behind the party’s presumptive nominee Donald Trump while adding his own support.